Credits: "Matthew Kane at Unsplash.com"
The skin is often considered the window into the internal body, as it can show what’s happening inside the body through skin changes. [1-3] For patients suffering from stasis dermatitis, this can be true as well. Stasis dermatitis is a skin disorder that occurs usually with older age and as a result of increased blood pressure in veins, leading to the backward flow of blood and insufficient circulation. This blood circulation problem most often occurs in the lower legs. The veins in your body usually have valves that help push blood back to the heart. Increased pressure on the veins in the legs leads to damage of the valves. Over time, these damaged valves can start to leak and decrease the blood flow. The backflow of blood can lead to inflammation and cause irritation of the lower legs, leading to pain, swelling, and even skin changes such as redness and inflammation. These symptoms can manifest in the clinical forms of leg swelling, varicose veins, a rash, or even open skin wounds. While many treatment options are available for insufficient blood flow, ranging from compression stockings to medications and surgery, another option that is less invasive is exercise. [6,7] Walking and leg elevation can help lower the venous leg pressure and also alleviate leg pain associated with the increased pressure. Lower leg muscles contract on lower leg veins to help maintain blood flow back toward the heart in a process called the skeletal muscle pump. [8,9] Researchers found that when patients completed exercises to help improve calf muscles, they also improved the venous flow of blood. Exercise has been shown in studies to help improve patient quality of life in patients suffering from leg ulcers due to calf muscle pump dysfunction, but further research is needed. Exercise is certainly a hot topic for exploration in holistic treatment options; one recent study examined patients using the exercises to test functional fitness including 30-second sit-to-stand test, chair sit and reach test, 6-minute walk test and ankle range of motion. The 30-second sit to stand test asked participants to sit down and stand up from the chair as fast as possible for 30 seconds. The sit and reach test asks participants to reach toward toes from a sitting position at front of a chair. The 6-minute walk test examined the distance participants can walk within the span of 6 minutes. The results of the study are still under analysis and should provide more information about how exercise can affect venous leg ulcers. Hatha yoga and Iyengar yoga are the forms focused on movement and physical postures. In studies of older adults, Hatha yoga and Iyengar yoga helped improve mobility and balance through increasing muscular strength. 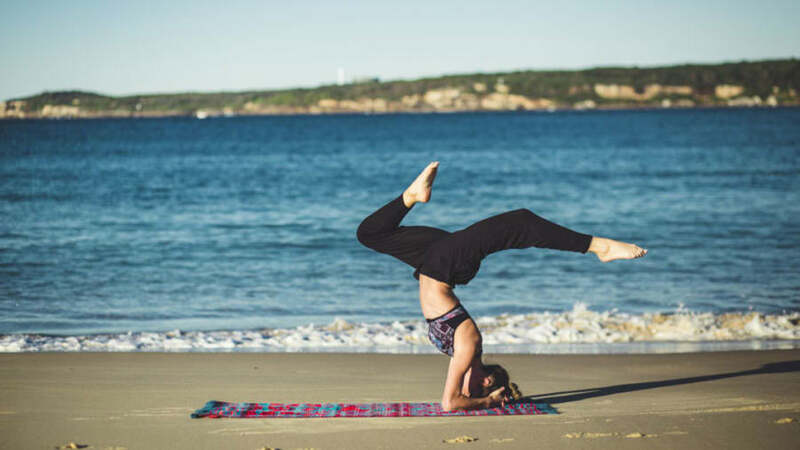 [21-24] Since leg muscles are important in helping to maintain blood flow through the veins, yoga can help strengthen leg muscles to help to improve blood flow in leg veins, especially movement focused yoga poses. Want to learn more about Ayurvedic skin care? Download our new eBook or take an eCourse. 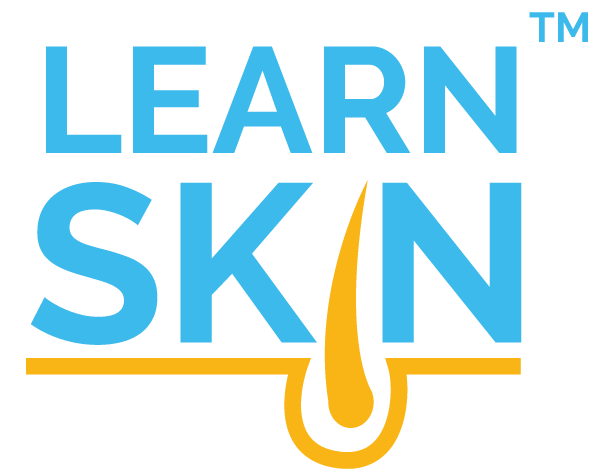 Owen C. Skin can show first signs of some internal diseases | American Academy of Dermatology. 2013; Link to research. Accessed July 14, 2017. Curth HO. Pigmentary Changes of the Skin Associated With Internal Disease. Postgraduate Medicine.1967;41(5):439-449; PMID: Link to research. Duncan WC, Fenske NA. Cutaneous signs of internal disease in the elderly. Geriatrics.1990;45(8):24-30; PMID: 2199335 Link to research. Sundaresan S, Migden MR, Silapunt S. Stasis Dermatitis: Pathophysiology, Evaluation, and Management. Am J Clin Dermatol.2017;18(3):383-390; PMID: 28063094 Link to research. Venous insufficiency | DynaMed Plus. 2017; Link to research. Accessed July 14, 2017. Hamdan A. Management of varicose veins and venous insufficiency. JAMA.2012;308(24):2612-2621; PMID: 23268520 Link to research. Raju S, Neglen P. Clinical practice. Chronic venous insufficiency and varicose veins. N Engl J Med.2009;360(22):2319-2327; PMID: 19474429 Link to research. Masterson MM, Morgan AL, Multer CE, et al. The Role of Lower Leg Muscle Activity in Blood Pressure Maintenance of Older Adults. Clinical Kinesiology.2006;60(2):8-17; PMID: Link to research. Verma AK, Garg A, Xu D, et al. Skeletal Muscle Pump Drives Control of Cardiovascular and Postural Systems. 2017;7:45301; PMID: Link to research. Kravtsov PF, Katorkin SA, Volkovoy VV, et al. [The influence of the training of the muscular component of the musculo-venous pump in the lower extremities on the clinical course of varicose vein disease]. Vopr Kurortol Fizioter Lech Fiz Kult.2016;93(6):33-36; PMID: 28091490 Link to research. Yim E, Kirsner RS, Gailey RS, et al. Effect of physical therapy on wound healing and quality of life in patients with venous leg ulcers: a systematic review. JAMA Dermatol.2015;151(3):320-327; PMID: 25517231 Link to research. Tew GA, Michaels J, Crank H, et al. Supervised exercise training as an adjunctive therapy for venous leg ulcers: study protocol for a randomised controlled trial. Trials.2015;16:443; PMID: 26445318 Link to research. Roldan-Jimenez C, Bennett P, Cuesta-Vargas AI. Muscular Activity and Fatigue in Lower-Limb and Trunk Muscles during Different Sit-To-Stand Tests. PLoS One.2015;10(10):e0141675; PMID: 26506612 Link to research. Rikli RE, Jones CJ. Development and validation of criterion-referenced clinically relevant fitness standards for maintaining physical independence in later years. Gerontologist.2013;53(2):255-267; PMID: 22613940 Link to research. Is it feasible to implement an exercise intervention in patients with venous ulcers? 2017; Link to research. Accessed July 14, 2017. Tyagi A, Cohen M. Yoga and hypertension: a systematic review. Altern Ther Health Med.2014;20(2):32-59; PMID: 24657958 Link to research. Norman RA, Rupani R. Clinical Cases in Integrative Dermatology. Springer; 2014. Bower JE, Greendale G, Crosswell AD, et al. Yoga reduces inflammatory signaling in fatigued breast cancer survivors: a randomized controlled trial. Psychoneuroendocrinology.2014;43:20-29; PMID: 24703167 Link to research. Kiecolt-Glaser JK, Christian L, Preston H, et al. Stress, inflammation, and yoga practice. Psychosom Med.2010;72(2):113-121; PMID: 20064902 Link to research. Buric I, Farias M, Jong J, et al. What Is the Molecular Signature of Mind-Body Interventions? A Systematic Review of Gene Expression Changes Induced by Meditation and Related Practices. Front Immunol.2017;8:670; PMID: 28670311 Link to research. Tiedemann A, O'Rourke S, Sesto R, et al. A 12-week Iyengar yoga program improved balance and mobility in older community-dwelling people: a pilot randomized controlled trial. J Gerontol A Biol Sci Med Sci.2013;68(9):1068-1075; PMID: 23825035 Link to research. Smith PD, Mross P, Christopher N. Development of a falls reduction yoga program for older adults-A pilot study. Complement Ther Med.2017;31:118-126; PMID: 28434464 Link to research. Zettergren KK, Lubeski JM, Viverito JM. Effects of a yoga program on postural control, mobility, and gait speed in community-living older adults: a pilot study. J Geriatr Phys Ther.2011;34(2):88-94; PMID: 21937898 Link to research. Schmid AA, Van Puymbroeck M, Koceja DM. Effect of a 12-week yoga intervention on fear of falling and balance in older adults: a pilot study. Arch Phys Med Rehabil.2010;91(4):576-583; PMID: 20382290 Link to research.